Of course, it’s not easy. “In fact, technology is a word we use all of the time, and ordinarily it seems to work well enough as a shorthand, catch-all sort of word,” notes the always-insightful Michael Sacasas in his essay “Traditions of Technological Criticism.” “That same sometimes useful quality, however, makes it inadequate and counter-productive in situations that call for more precise terminology,” he says. Quite right, and for a more detailed and critical discussion of how earlier scholars, historians, and intellectuals have defined or thought about the term “technology,” you’ll want to check out Michael’s other recent essay, “What Are We Talking About When We Talk About Technology?” which preceded the one cited above. We don’t always agree on things — in fact, I am quite certain that most of my comparatively amateurish work must make his blood boil at times! — but you won’t find a more thoughtful technology scholar alive today than Michael Sacasas. If you’re serious about studying technology history and criticism, you should follow his blog and check out his book, The Tourist and The Pilgrim: Essays on Life and Technology in the Digital Age, which is a collection of some of his finest essays. 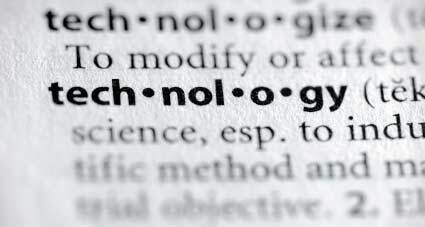 Anyway, for what it’s worth, I figured I would create this post to list some of the more interesting definitions of “technology” that I have uncovered in my own research. I suspect I will add to it in coming months and years, so please feel free to suggest other additions since I would like this to be a useful resource to others. I figure the easiest thing to do is to just list the definitions by author. There’s no particular order here, although that might change in the future since I could arrange this chronologically and push the inquiry all the way back to how the Greeks thought about the term (the root term “techne,” that is). But for now this collection is a bit random and incorporates mostly modern conceptions of “technology” since the term didn’t really gain traction until relatively recent times. So, I’ll begin with two straight-forward definitions from the Merriam-Webster and Oxford dictionaries and then bring in the definitions from various historians and critics. 2) a manner of accomplishing a task especially using technical processes, methods, or knowledge. 3) the specialized aspects of a particular field of endeavor. 1) The application of scientific knowledge for practical purposes, especially in industry. 2) Machinery and devices developed from scientific knowledge. 3) The branch of knowledge dealing with engineering or applied sciences. In his 2009 book, The Nature of Technology: What It Is and How It Evolves, W. Brian Arthur sketched out three conceptions of technology. In his 1999 book, Visions of Technology: A Century Of Vital Debate About Machines Systems And The Human World, Pulitizer Prize-winning historian Richard Rhodes assembled a wonderful collection of essays about technology that spanned the entire 20th century. It’s a terrific volume to have on your bookshelf if want a quick overview of how over a hundred leading scholars, critics, historians, scientists, and authors thought about technology and technological advances. Technology is embodied, non ‘in the head’ alone: “[I]t would be wise to guard against the absorption of all methods and techniques, including wholly mental ones, into the concept of technology.” He uses the examples of natural language and mathematics. “Technology can, indeed, be defined as a pursuit of power over nature.” (p. 543). Again, please feel free to suggest additions to this compendium that future students and scholars might find useful. I hope that this can become a resource to them. Carl Mitcham, “From Philosophy to Technology, ” Ch. 6 in Thinking Through Technology: The Path Between Engineering and Philosophy (Chicago: The University of Chicago Press, 1994), 137-160.